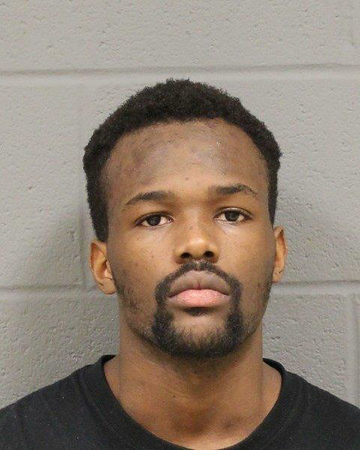 SOUTHINGTON - Police have charged a Hartford man with robbing a pizza delivery man at knifepoint at the Southington Motel 6. Police said they were able to trace the cell phone that made the pizza order to Patrick Brown, 19, who was found inside one of the rooms at the motel with a knife, $273 that was stolen from the victim, a small amount of Indian rupees, which were also taken from the delivery man, and some crack cocaine. According to police, officers responded to Motel 6, located at 625 Queen St., at about 7:14 p.m. on Friday. A delivery driver from Vivaldi’s Pizza had been called to one of the rooms to deliver a pizza, but when he arrived, no one was inside. The driver then called the number that placed the order, and the caller agreed to meet him in the parking lot. In the lot, police said, the suspect, who was later identified as Brown, held the driver up at knifepoint. Police then traced the cell phone number to Brown and found that he was still at the motel. He was found in one of the rooms and arrested. He faces charges of first-degree robbery, sixth-degree larceny and possession of crack cocaine. Brown is being held on $250,000 bond and is expected to be arraigned in Bristol Superior Court today. Posted in New Britain Herald, Southington Herald on Monday, 14 January 2019 10:34. Updated: Monday, 14 January 2019 10:37.